The domestic ultra low-cost market is only beginning and already global long-haul airlines are taking aim at Canada. Whereas the first generation of low-cost airlines like Southwest and WestJet grabbed market share from legacy carriers, today's ultra low-cost carriers (ULCC) will largely target new passengers who previously stayed home or found vacation alternatives to avoid pricey air travel. ULCCs are pushing legacy carriers to protect their lowest-fare flank. 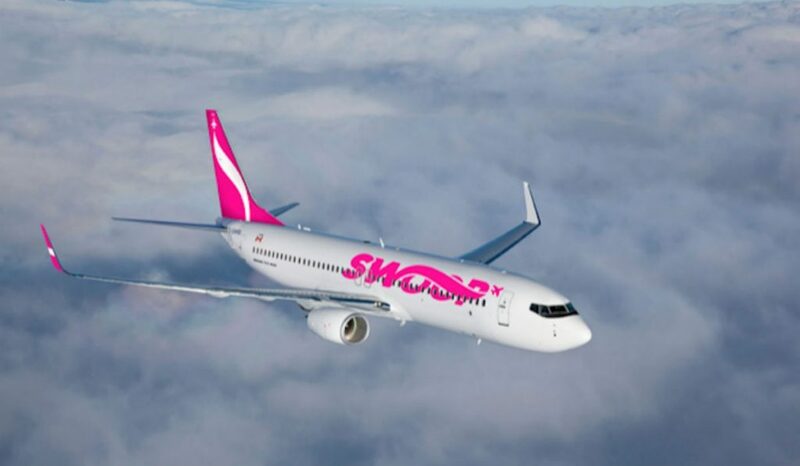 Swoop, WestJet’s ULCC set to launch in June, expects only 10 per cent of its passengers to travel for business. In Canada, there is also a passenger subset who drive to U.S. border airports for cheap seats on American ULCCs. It’s one drawback of being the only developed economy without true ULCC competition – amid an elephant’s graveyard of several who have tried, including Jetsgo, Canada 3000 and Zoom. As Swoop ramps up, Canada Jetlines scrambles to secure airplanes (see On the Fly) and Flair Airlines consolidates early gains and pushes down costs, an ultra low-cost culture is taking shape. Across the Atlantic, several European ULCCs are prepping to join the fray, bringing international long-haul ultra low-cost travel to Canada before the domestic industry has taken hold. This summer, long-haul ULCC darling Air Norwegian is expected to begin service between several European and Canadian destinations, including Toronto. It’s not alone. Air Norwegian will join Level, which is a Rouge-like subsidiary of British Airways’ parent IAG, flying between Paris Orly and Montreal, as well as Latvia-based Primera Air, serving Toronto from London’s Stansted airport. Canada’s open skies agreement with the European Union enables Europe’s airlines to cross national borders and fly from any airport in the union, including the U.K. ahead of Brexit. Clearly, the cost curve for Canadian travellers, both domestic and international, will bend, but by how much before it breaks? Especially after factoring in added trans-Atlantic capacity by the home team, Air Canada, Rouge, Air Transat and WestJet. This summer WestJet will build on its pioneering Boeing 737 program from Atlantic Canada to Europe with flights between Halifax and Paris. Toss in Iceland’s upstart WOW and Icelandair, which built a brand via backpackers looking for bargain flights to Europe. It all adds up to a lot of cheap seats chasing a undefined market. Flying direct to Canada, European cost-cutters are charting a course separate from American ULCCs like Allegiant, JetBlue and Spirit, which might attract snowbirds, but sidestep added taxes and user fees by flying no further north than U.S. border cities and letting the Canadian market come to them. WestJet estimates the size of cross-border traffic to be equivalent to 40 high-density 737s a day; passengers Swoop and other domestic ULCCs hope to repatriate with lower fares to sun destinations. To this end, Air Canada’s aggressive global expansion, trans-border operations, and scheduling savvy is successfully luring American travellers north to plug into its own international route network. There are questions about over capacity and the ability to conquer new markets outside of traditional north Atlantic route patterns. Rather than castoff Boeing 767 or Airbus equipment, Air Norwegian, Europe’s third largest low-cost airline, and Primera Air’s fleets include new longer-range Boeing 787 and Airbus A321neo airplanes: aircraft ordered by WestJet and Air Transat, respectively. The shape of WestJet’s international expansion is more of a mystery following the March retirement of chief executive Gregg Saretsky and the appointment of his successor, vp Ed Simm. With its first 787s due to in 2019, WestJet has the opportunity for a long-haul international ULCC through Swoop, returning to its no-frills roots but on a global scale and with menu pricing. Latin America and Asia are also calling. The Economist recently described a restlessness among Chinense airlines, with a cost-base that opens a door to be industry disruptors similar to the Gulf-based super-connectors like Emirates, Etihad and Qatar Airlines. The Economist explains China has grown into an “aviation super power” and will eclipse the U.S. as the world’s biggest such market by 2023. It is unlikely Canadian bilateral negotiators will tamper the ambitions of China’s airlines, as happened with Gulf carriers, which also creates opportunities for Canadian airlines with the equipment to penetrate new low-cost markets. This may be the summer of the cheap seat, at home and abroad.